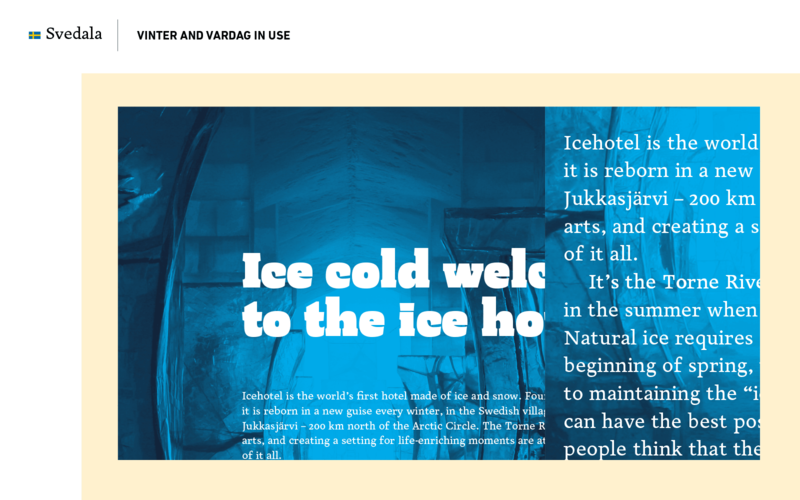 Svedala is type family attempting to reflect the contrast between the two major seasons, winter and summer. Inspired by the national typeface Sweden Sans, I wanted to attempt on making a serif version. In the north part of Sweden there’s about three weeks of night during winter. The sun basically never goes above the horizon. But when summer arrives, the very same parts of Sweden get about five weeks of daylight. The sun never gets below the horizon. 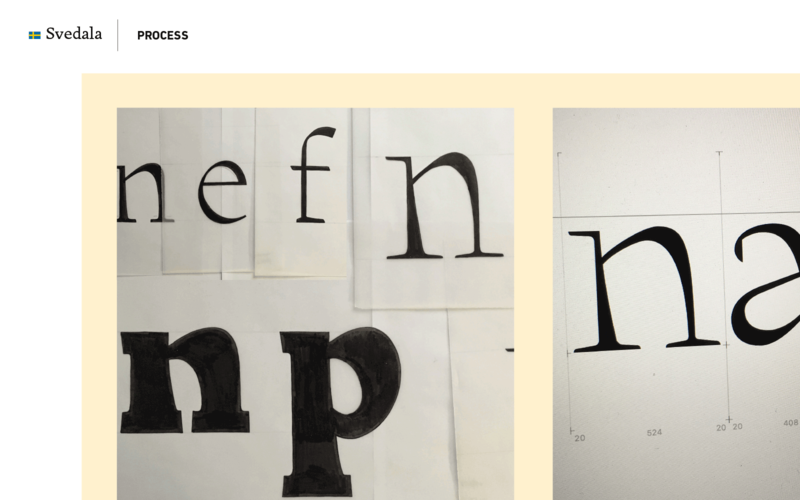 The type family currently consist of three weights. 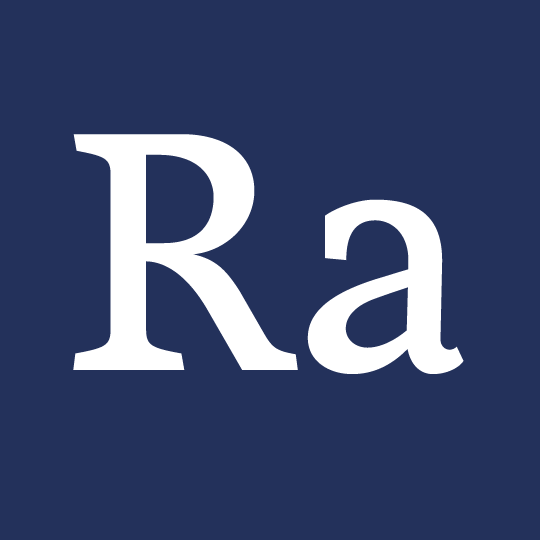 Two display weights and one weight for text. 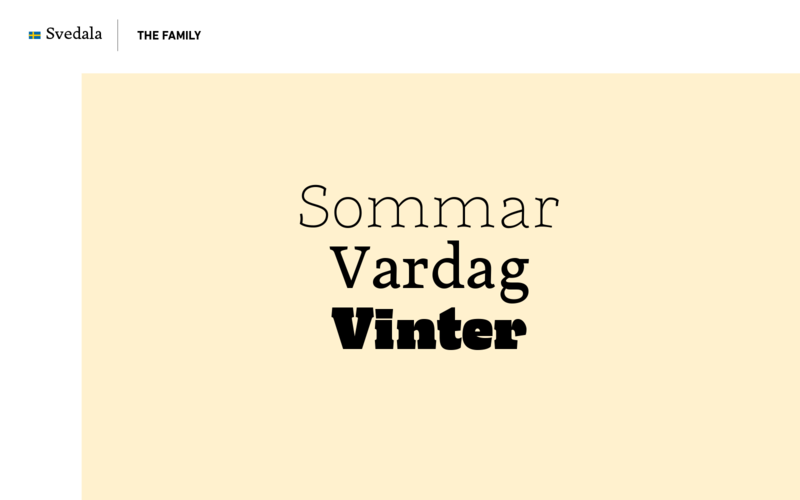 Sommar (summer in Swedish) is a display typeface used to show how casual and the light summers are. Vinter (winter in Swedish) has way more blackness to it and talk to you about cracked ice, snow and the darkness. 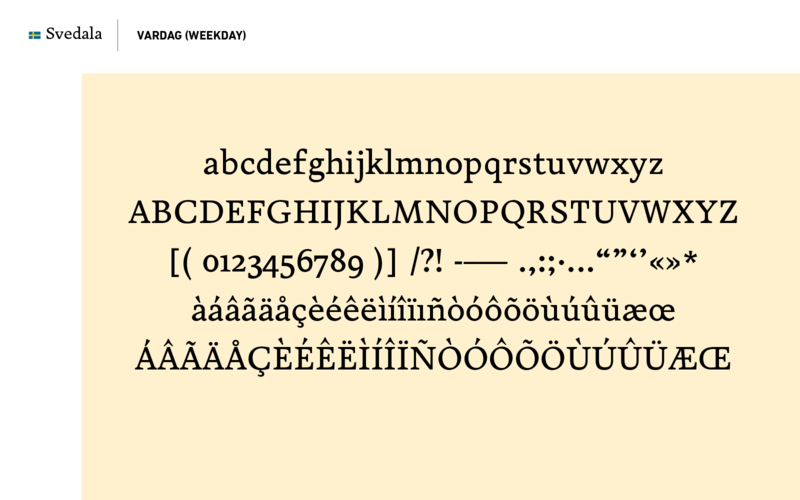 Vardag (weekday in Swedish) works well for paragraphs in a smaller size. Vardag still has some traces of calligrpahy in it. It’s named weekday beacuse we have those days all year around. 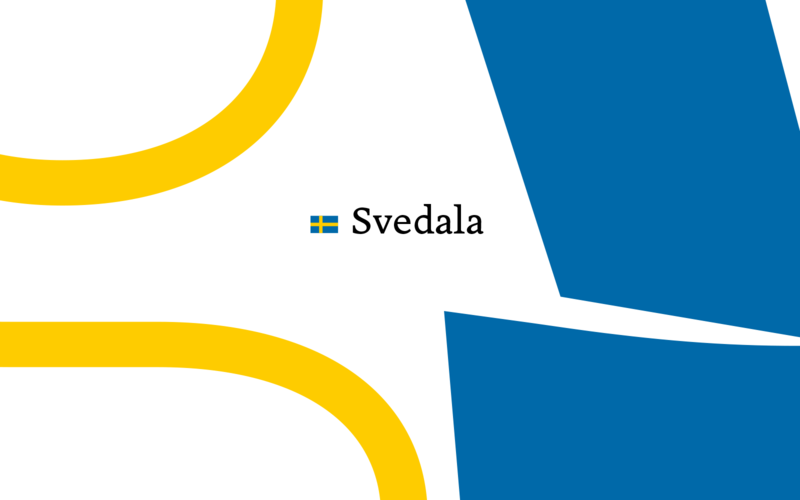 The name Svedala is a euphemism, like a substitute Swedish people sometimes use instead of using the real name. Thanks to everyone involved and special thanks to Jean François Porchez, Mathieu Réguer, Julien Priez, and Xavier Dupré.